Phil has over 30 years of experience in strategic business development, technology, and management leadership at a variety of large- and middle-market international and domestic companies. His specific areas of emphasis include strategy, innovation, organizational design and business model execution. At IOP, Phil has served as chairman of Creative Foam, GT Technologies, Vita and Coldwater Veneer, and as a board member of Kuss Filtration and Edelbrock. 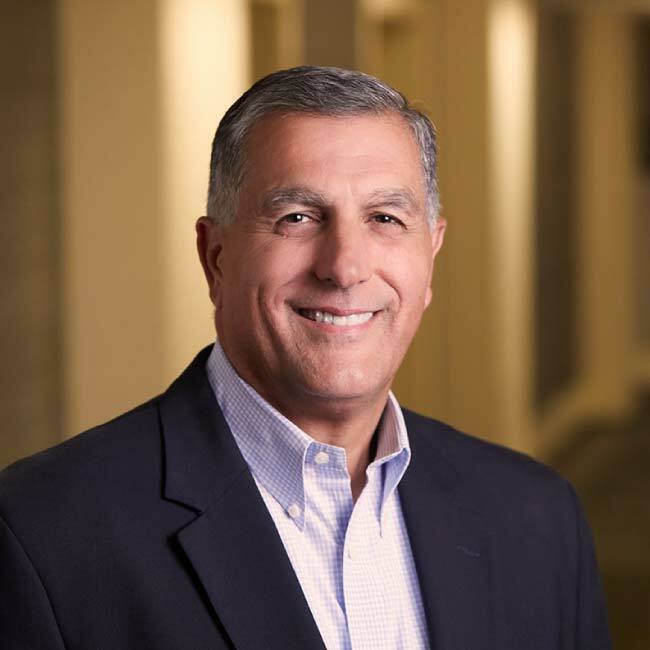 Prior to joining IOP, Phil served in leadership roles at a variety of manufacturing and service-related companies including The Woodbridge Group, Inc. (President – North America and Global Purchasing, Quality & Program Management); Enterprise Electronics, LLC (President & CEO); and Magneti Marelli Holding North America (President, CEO, and Board Member), as well as other roles spanning transportation, healthcare/medical, and consumer products sectors. While at each of these companies, he provided visionary leadership and implemented functional and disciplined metric-based systems to measure standardized operational practices, stakeholder value, new business growth, and employee engagement. Phil holds a B.S. in manufacturing engineering from Michigan State University and an MBA in international business from Wayne State University (Detroit). He also completed an Advanced Executive Program in strategy and technology at M.I.T. Sloan School of Management, and earned his Ph.D. with highest distinction in management strategy and innovation from Capella University School of Business & Technology. Phil is a fellow at the Institute of Chartered Marketing (CIM – London, U.K.).